Mist rises off the water of the water of this limestone spring as the cool morning light diffuses through the humidity and dense green canopy of the forest on the cliffs above. 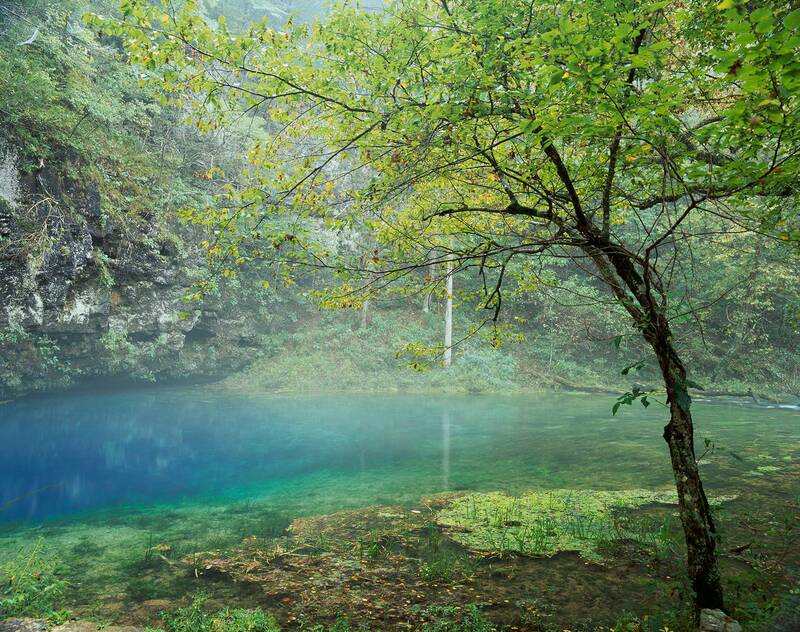 The spring, known as Blue Spring for its intense color, feeds the Current River downstream. The turquoise color in the foreground is algae growing beneath the blue water. I find natural springs, large or small, with their lush vegetation, and dripping water, to be sanctuaries for the soul.